Pendent size – approximately 1.3 cm in length and approximately 2.5 cm in height. An archetype of it’s kind, the Dor beetle is distinctive, adaptable and sacred. 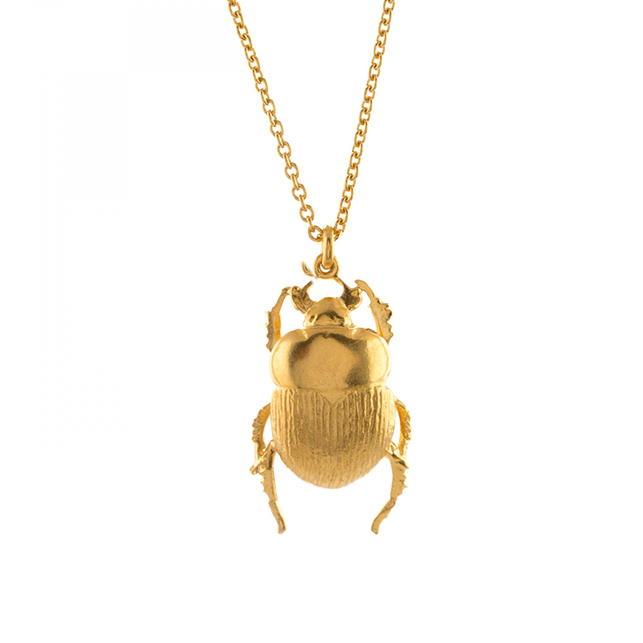 This fella has been handcrafted in London from solid sterling silver and plated in 22ct gold. The pendent has a lovely textured finish, lots of fine detail and sits proudly on an adjustable fine chain.